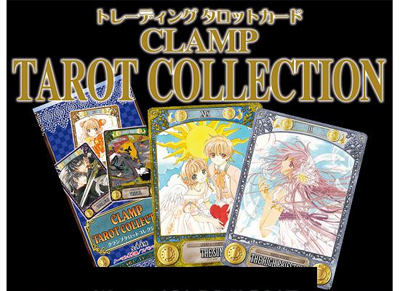 A set of Tarot cards featuring illustrations of CLAMP’s works will be released in April. There will be a total of 44 cards (22 normal + 22 special), covering all cards of the Tarot’s Major Arcana. The Box with 12 packs will cost 5,040 yens. The Box will come with a bonus card of “The Judgment” featuring an illustration of either Tsubasa or GATE 7 picked at random. Apparently all cards will feature previously released illustrations.